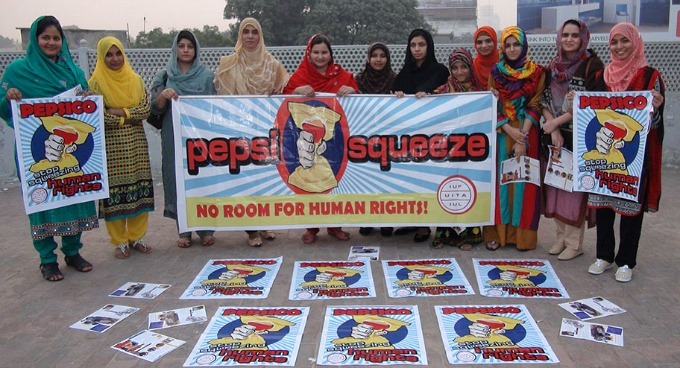 IUF affiliates worldwide say STOP PepsiSqueeze! 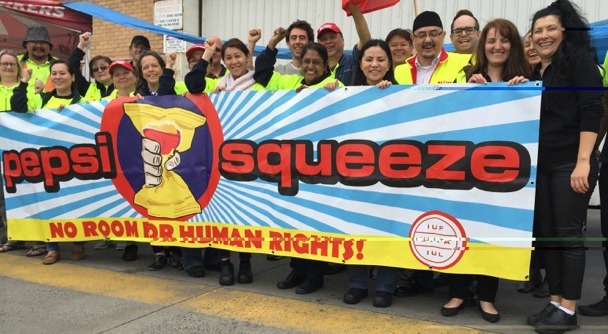 IUF-affiliated unions and their supporters recently demonstrated in India, Pakistan, Togo, Poland, Australia, Korea, Ukraine, Russia, the UK, Dominican Republic and Benin to show their commitment to the "STOP PepsiSqueeze!" international union campaign in support of PepsiCo warehouse workers in India. The IUF Asia Pacific and Africa Regional Committees, IUF Trans-Tasman Food Workers, IUF affiliates organized in Unilever, IUF European Region Tourism Sector, IUF Global Meat Conference, IUF Latin America Executive Committee and IUF members participating in a global PepsiCo workers meeting have pledged to continue their support for the Indian workers. Their message to PepsiCo is a simple one: engage in serious and good faith discussions with the IUF to reinstate these workers with full back pay and guarantees that they can exercise their right to form or join a union without fear of reprisal!